You’ve requested it, you kept asking when. And so here it is, dear friends. 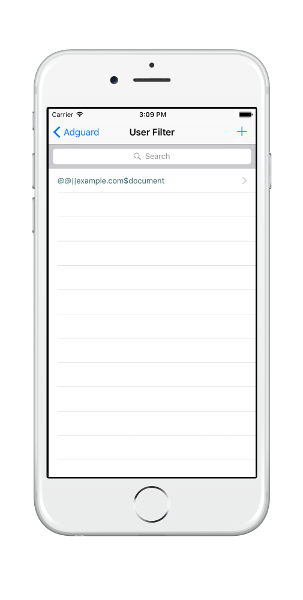 Finally we release our app for iPhone and iPad! 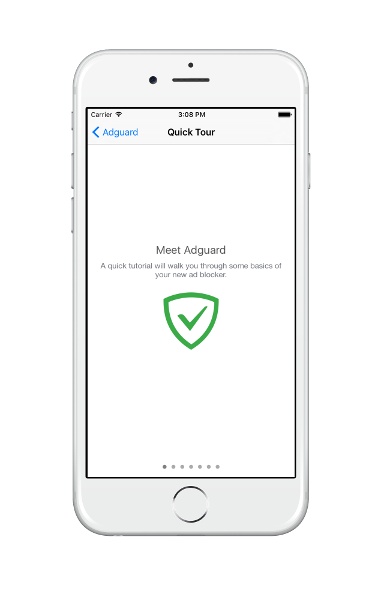 Our new Adguard app is the perfect and most advanced ad blocker for iOS devices. 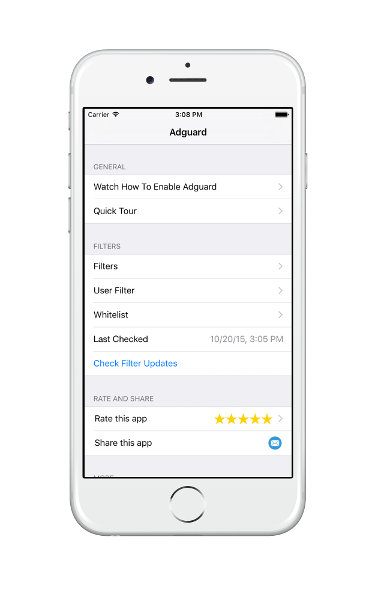 Adguard’s own filters alongside with other popular (and necessary ones) are here to protect your Apple device. *Left: Adguard own filters that are already familiar for users of other Adguard versions. **Center: Various filters for even better protection. *Right: EasyList set, lists of filters designed for Adblock Plus. Nice additional protection too. Please note that unlike Adguard for Android, iOS app has no option for blocking ads in apps. This is the app for ad blocking in Safari browser only. Apart from regional filters (English, Russian and other) Adguard has some very cool ones to ensure protection of your device. Let’s start with spyware protection. The correspondent filter removes all counters, and prohibits analytical systems and trackers to spy on you online. Your personal data will be safe. Social media filter is an instrument to remove all unnecessary social networks buttons. All these “Like”, “Share”, “Tweet” shouldn’t be all over the pages, only unless you want them there. And it’s up to you whether you enable this filter or not. Do you have favourite websites that you’d like to support? There is a Whitelist in our app which allows to add exceptions, meaning disabling the ad filtering for some trustworthy domains. Well, if our filtering rules are not enough, you can always ‘go advanced’ and add the ad blocking options you want. Hide/unblock any elements you want. By the way, we have a nice article to show you how to do it. Compatible with iPhone 5s, iPhone 6, iPhone 6 Plus, iPhone 6s, iPhone 6s Plus, iPad Air, iPad Air Wi-Fi + Cellular, iPad mini 2, iPad mini 2 Wi-Fi + Cellular, iPad Air 2, iPad Air 2 Wi-Fi + Cellular, iPad mini 3, iPad mini 3 Wi-Fi + Cellular, iPad mini 4, iPad mini 4 Wi-Fi + Cellular, iPad Pro, iPad Pro Wi-Fi + Cellular, and iPod touch (6th generation). Our app is officially published on App Store. Yay! By the way, did we mention that it is free? Yes, absolutely free. So go ahead and download. Protect your device now! Please let us know what you think about our new product. We are waiting for your feedback, and welcome your suggestions as to what to add/improve/fix.